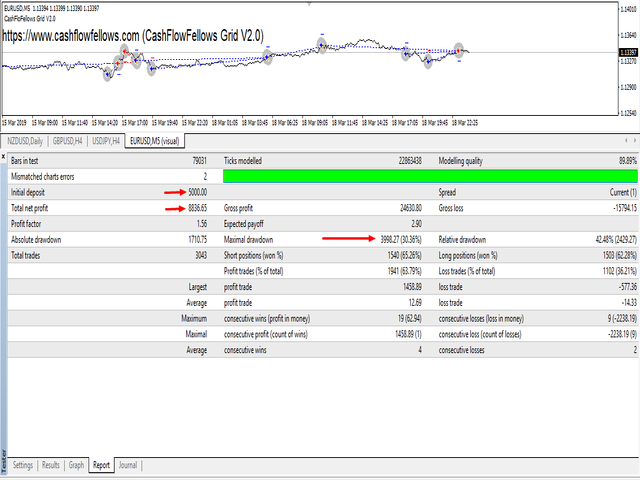 CashFlowFellows Grid V2.0 is a fully automated Exper Advisor. It has been testing for many years in the past and it's making extraordinary results. It designed to make %100 return on the Investment as soon as possible with the recommended money management settings. Symbol: All EUR pairs & All USD pairs. Time Frame: M5. 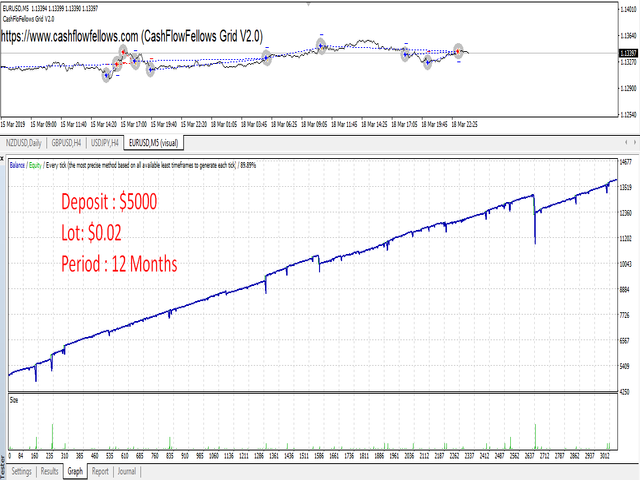 however it works on all time frames. 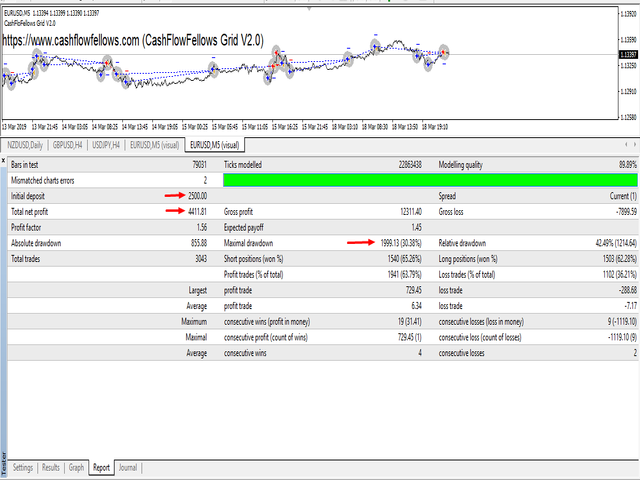 Brokers: ECN brokers, low spread/commission. 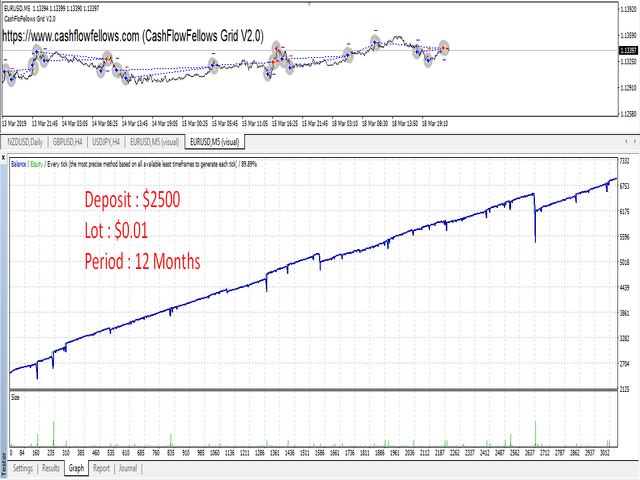 as mentioned the recommended deposit in your trading account is $2500.